ClockIt uses sites to classify business units. For example HQ, Warehouse etc. A site is a business location. For Example, a site may be HQ, Warehouse etc. Every employee belongs to a site. 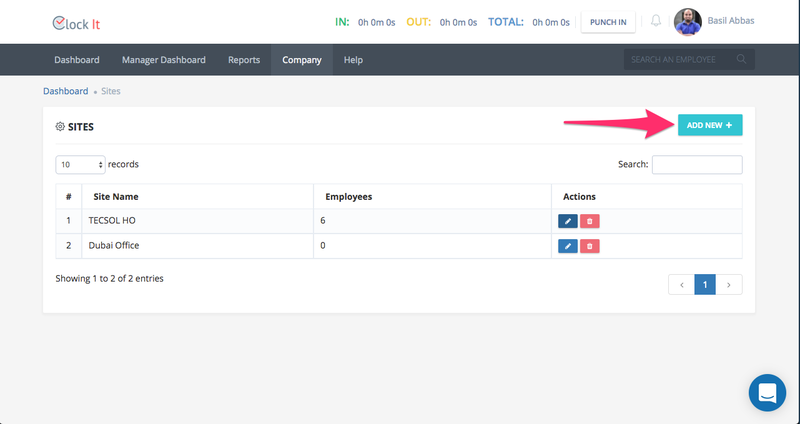 Employees can only be a part of one site and cannot belong to multiple sites. 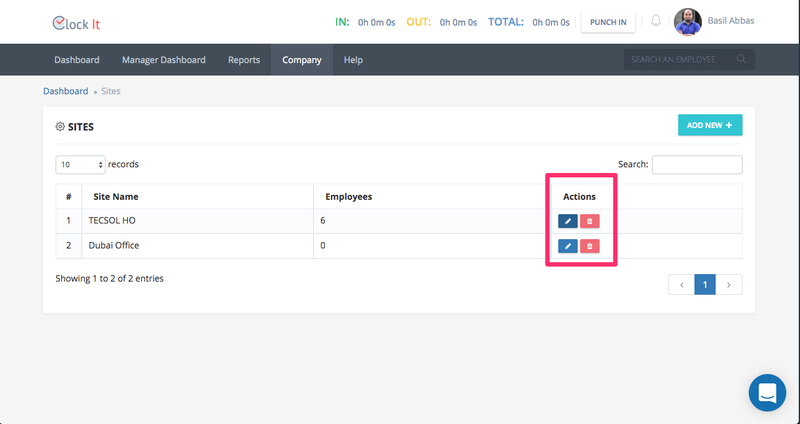 With sites, you can also run custom reports that are specific to sites using the Dynamic Reports. Note: A site can only be deleted if all the users of that site have been moved to another site. 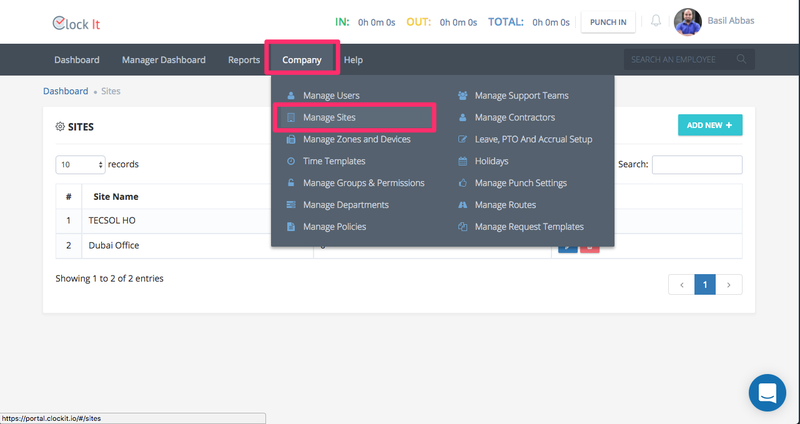 You can manage all your sites from Company > Manage Sites. By default ClockIt will create a Default Site for you when you sign up. A site also defines the time zone that it belongs to. The default time zone is the one that is detected at the time of signup. To create a new site, click on the add new button. 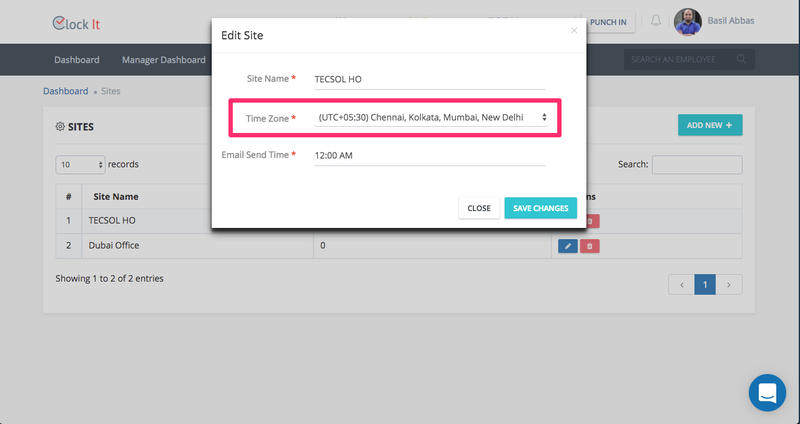 Give your site a name, the time zone that it belongs to and define what time emails should be sent to the admins regarding important site notifications. To edit or delete a site, use the following action button. This permission will allow this user to delete a site.